A report recently published by the International Longetivity Centre - UK and Anchor has revealed that a quarter of men would never consider a career in care. The report, titled 'The Future Care Workforce', identified men as one of the prime demographics to meet the predicted 1 million carer shortfall that the UK care industry will face by 2025; the current social care workforce is predominantly female, accounting for 82%. Additional research carried out by Anchor revealed that a quarter of men aged between 16 and 25 would never consider becoming a carer, despite the fact 94% of young people agree care is a suitable profession for a man. One of the main obstacles to increasing the number of male carers is the outdated stigma that caring is a 'feminine' role, a problem that the report suggests could be solved by effective male role models. Download the full report here for further information on the steps required to meet the level of demand for carers. Domiciliary care services, such as Caremark, account for 42% of the current jobs in the care sector. 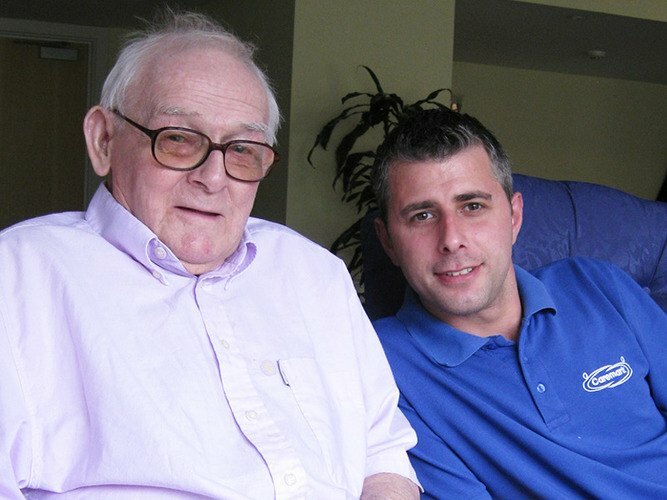 Caremark actively encourages Care & Support Worker applicants from all demographics; if you would be interested in a career in home care, apply online today.